Doxycycline (malaria) 100mg 48 caps. Doxycycline (malaria) 100mg 64 caps. Doxycycline is an effective medicine for preventing malaria. This antibiotic kills the parasite that causes malaria in the liver or bloodstream, thereby preventing the illness from developing. Doxycycline is a prescription-only medicine. 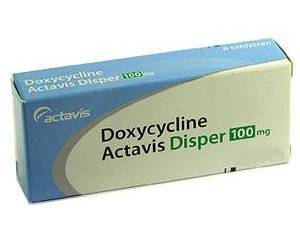 Doxycycline can be used for preventing malaria. Humans can contract malaria if bitten by an infected mosquito in tropical areas where malaria is common. Malaria, also called swamp fever, is a serious disease that causes high fever and chills. If left untreated, it can be fatal. Doxycycline is active against the parasite that causes malaria and stops the disease from spreading. When used to prevent malaria, Doxycycline should be taken daily starting two days before you travel to the malarious region. You should continue taking it every day throughout your stay, and for a further four weeks after leaving. The capsules should be swallowed whole with plenty of water. Doxycycline should be taken while you are sitting or standing. Avoid taking a dose before lying down. This is to prevent the medicine irritating the throat. There are also other things you can do to avoid getting malaria during your stay. If you sleep outdoors or in an unscreened room, you should use mosquito nets. You should also use an effective insect repellent on clothing and any exposed skin. Diethyltoluamide (DEET) is safe and the most effective insect repellent. If you are outside after sunset, try to cover up bare areas with long-sleeved, loose-fitting clothing, long trousers and socks to reduce the risk of mosquitoes biting. one 100-mg capsule once a day, starting two days before travelling until four weeks after leaving. Children under eight years of age should only be given this medicine to prevent malaria on advice of a doctor. In this case, the doctor will prescribe an adjusted dose. Doxycycline is not suitable for children under the age of eight. Consult a doctor on the use of Doxycycline if your blood clotting is abnormal. Doxycycline may interact with other medicines. It is therefore important that you tell the doctor what other medicines you are currently taking. For more information, see the package leaflet. Doxycycline, when used for malaria prevention, does not interact with alcohol or affect your ability to drive safely. There are no dietary restrictions with this medicine.